You guys may remember a post I did a few weeks ago for Coolaulin Conditioner and how I featured a mystery product next to it! 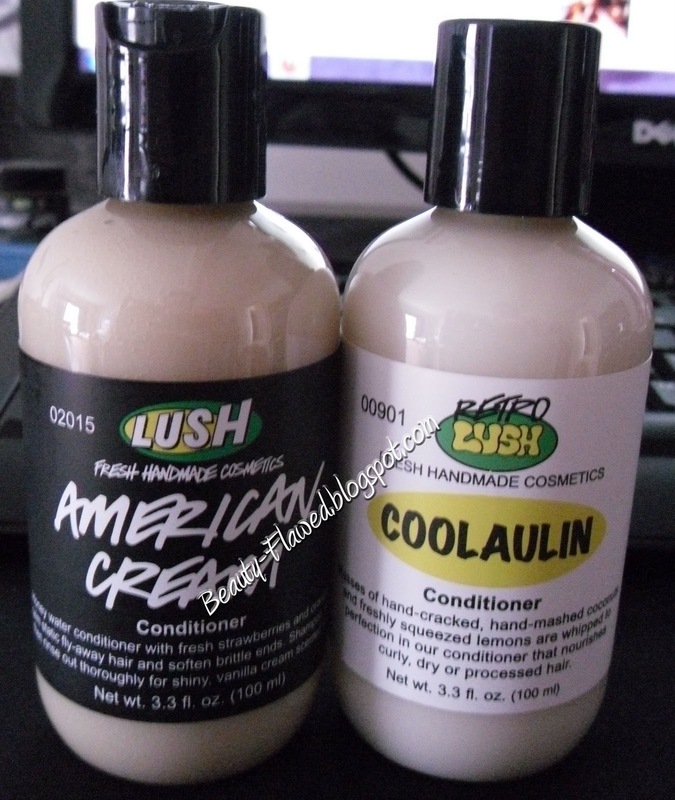 Well that mystery product was American Cream Conditioner, I picked up both of them in my Lush haul and wanted to really get a chance to try it out before reviewing. I've use the whole bottle now and let me first just say I really like how moisturizing it is. It has no problem keeping my curly hair at bay and keeping my ends happy. 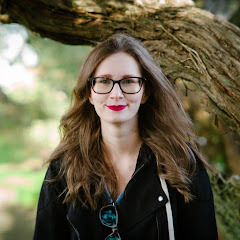 I paired this up with Trichomania and NEW! on different occasions and had great results both times. I think this is a great all around conditioner and could work for many hair types. This one is also thick and creamy unlike Collaulin. I got a lot more uses out of this one as well I would say at least 10 for the 3.3 fl oz bottle mainly because I don't have to use a ton of it because it is a lot thicker in consistency. This product is available in three sizes 3.3 fl oz for $9.95, 8.4 fl oz for $19.95 or 16.9 fl oz for $29.95. The one qualm I have about this product is the way it smells. Now its not a bad smell and its not dreadful or anything its just really strong. To me it smells like a strawberry smoothie with heavy vanilla notes. The scent also lasts on your hair all day and doesn't really fade much. Its an alright scent but I found I grew tired of how strong it was very quickly. Even tho I'm a bit off put by its scent I don't think that would stop me from buying it again just because it worked really well to keep my hair moisturized and that is a tricky task since I have curly hair. If you like a conditioner with a strong fruity - vanilla scent that's a great everyday conditioner this just might be the product for you. my mom is obsessed with LUSH products, i'll have to check these out for a possible X-mas gift, thanks for the review! They have awesome gift packs around the holiday too!